After the rave explosion of the '90s, things quieted down on the dance music front in the early 2000s. With major crackdowns on both sides of the Atlantic, the scene retreated back to the clubs. People were looking for a new sound and it came from a place that at first would seem unexpected, but if you have an idea of dance music history makes complete sense. The discourse between rock music and dance has a long history. During the disco era a lot of classic rock bands experimented with the new sound. At the same in the late '70s/early '80s, a lot of punk groups were experimenting with using electronic instruments, which led to the rise of new wave. This interaction between the two scenes would disappear for about a decade and a half but would emerge again in full force at the beginning of the new millenium. Whether you call it dance punk or new rave, you can't deny that this phenomenon was instrumental in getting us to where we are today in dance music. It was a gateway drug that was the entry point for lot of rock fans into the world of dance music. This growing fan base would be key to its getting dance music to its current ubiquity. The effects on dance music were important as well. 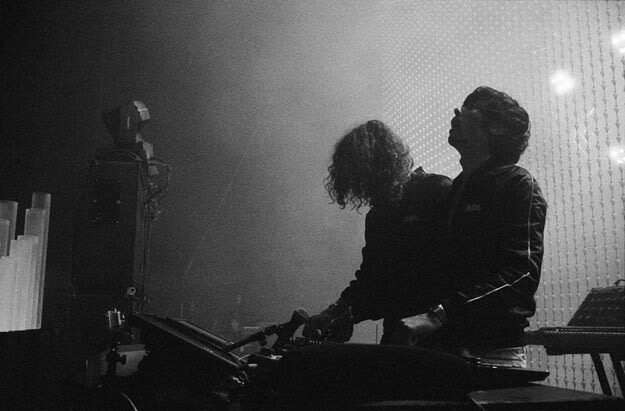 The agressive rawness of dance rock from the beginning of the decade was without a doubt a precursor to the electro boom of the late 2000s where groups like Justice stepped in to carry the torch. It was also a really progressive scene with a lot of openly gay acts, especially in the U.S., which certainly helped to make the dance music scene the accepting place it is today. It's been around a decade since the movement emerged, so it seems time to look back on the most essential tracks from what will no doubt be seen as a distinct moment in time. This isn't a be-all/end-all, but it's a good starting point for those who were either too young or missed the boat on the era where dance music learned to cut loose.